Designed and manufactured for naval military conditions the M55SS-MIL is suited for mounting to either a naval vessel or structure where adverse weather is experienced. 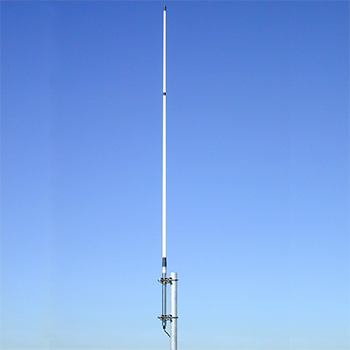 The CMG1600AM, Optus & Vodafone 3G mast mount collinear, offers the maximum gain and reception range practical in a omni-directional, mobile phone/wireless data fixed position collinear. The B16-AA coaxial dipole provides an economical base station antenna solution with no compromise in either quality of construction or performance. It is ideal for omni-directional low power transmit and recieve applications up to 100 Watts. The B16-AB coaxial dipole provides an economical base station antenna solution with no compromise in either quality of construction or performance. It is ideal for omni-directional low power transmit and recieve applications up to 100 Watts. The B16-AC coaxial dipole provides an economical base station antenna solution with no compromise in either quality of construction or performance. It is ideal for omni-directional low power transmit and recieve applications up to 100 Watts. 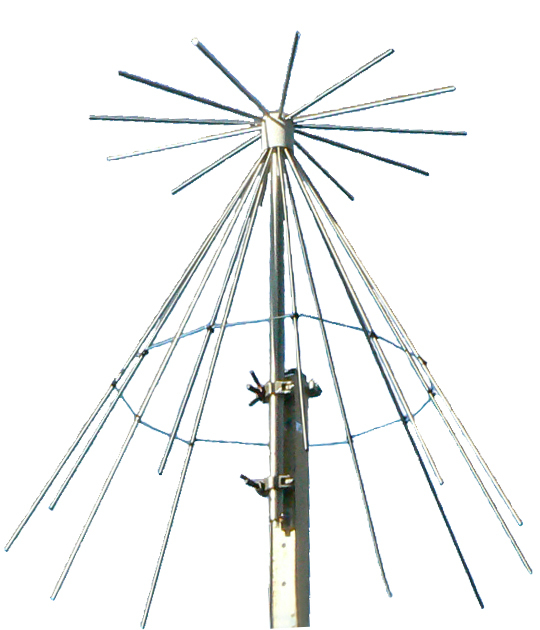 The ZDUHF is a fully enclosed vertical dipole antenna suitable for both military and civilian applications within the UHF 225-400MHz frequency range. The ZDUHF is available in white as standard or military green upon request. The B51H-SS broadband discone provides a true omni-directional radiation pattern, low VSWR and genuine broadband coverage for both transmit and recieve across the full frequency band 70-1000MHz. Mount the B51H-SS using 2 x EB1-SS or 1 x UB3-SS. The B55H-SS boradband discone provides a true omni-directional radiation pattern, low VSWR and genuine broadband coverage for both low power transmit and recieve across the full frequency band 50- 500MHz. 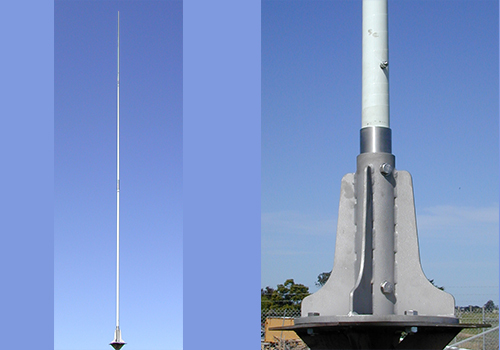 Designed and manufactured for naval military conditions the M56SS-MIL-UHF is suited for mounting to either a naval vessel or structure where adverse weather is experienced. The N-type female is weather sealed inside a protective PVC cover with an external cable gland to seal the cable. The DVA-1317AL binary dipole array offers both an omni-directional radiation pattern and genuine broadband coverage across the entire VHF 136-174MHz frequency range. For a higher gain model see the DVA-1317AL-6 8 dipole binary array. The G12 omni-directional VHF collinear is suitable for two-way radio and other systems operating within the 85-140MHz frequency range. ZCG recommend mounting the G12 as high on your structure or tower as possible using 2 x UAM180L or 2 x UAM90L mounting hardware. The B56SS ruggedised monocone, offers genuine broadband coverage and an omnidirectional radiation pattern. With integral ground plane, monocones also provide a low angle of radiation. 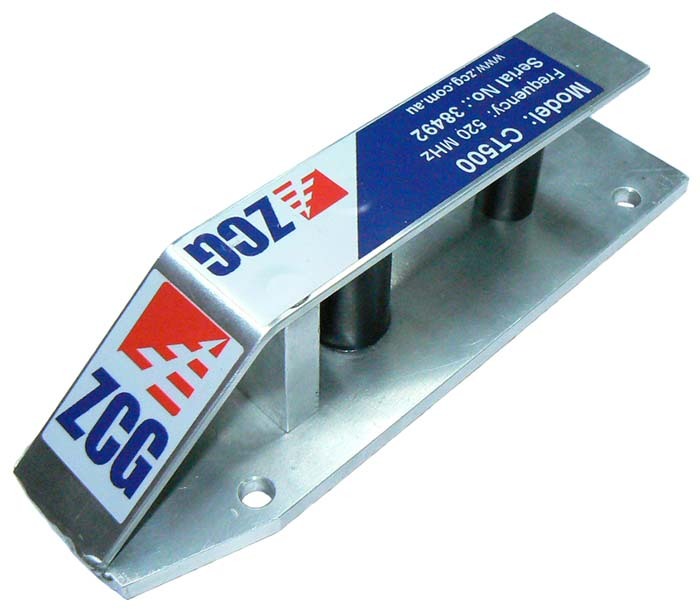 ZCG recommend mounting the B56SS as high as possible on your structure or tower to ensure a true omni-directional pattern. The HM215 vertical radiator antenna is suitable for HF 2-30MHz marine communications on either a vessel or a structure/tower. The HM212 comes standard with a MM2 stainless steel fold-down mount. The HM215-L vertical radiator is suitable for HF marine communications within the 2-30MHz range. The HM215-L comes standard with a MM2 stainless steel fold-down mount. The 2-piece construction allows for a reduced courier costs and reduced storage for an overall length of 6.1m assembled. The HM300 is a free standing, marine HF 2-30MHz radio, heavy duty mount antenna specifically designed for larger vessels or structure/tower installations. Please note a 1429 heavy-duty base is required, and assembly of the antenna is required. The GIDM-800 is a ground independent mobile phone antenna. Coming standard at 2.1dBi gain and a power handling of 5 Watts, a 4.5 metre cable with an FME female connector fitted. Mount using a 16mm hole or an appropriate bracket with 16mm hole. The M99B-400 UHF flexible whip is specifically designed to fit to the connection of a portable or vehicle mounted UHF radio with a Female BNC termination. The small and flexible design allows the M99B-400 to withstand the harshest of conditions whilst still maintaining the optimal vertical polarisation. The M99T-400 UHF flexible whips specifically designed to fit to the connection of a portable or vehicle mounted UHF radio with a TNC Female termination. The small and flexible design allows the M99T-400 to withstand the harshest of conditions whilst still maintaining the optimal vertical polarisation. The M99U-400 UHF flexible whips specifically designed to fit to the connection of a portable or vehicle mounted UHF radio with a UHF Female termination. The small and flexible design allows the M99U-400 to withstand the harshest of conditions whilst still maintaining the optimal vertical polarisation. The ZSMA-350 highly flexible whip is designed to fit onto any portable radio or UHF device with a SMA male connection. The small and flexible design allows the ZSMA-350 to withstand the harshest of conditions whilst still maintaining the optimal vertical polarisation. The ZSMA-435 highly flexible whip is designed to fit onto any portable radio or UHF device with a SMA female connection. The small and flexible design allows the ZSMA-435 to withstand the harshest of conditions whilst still maintaining the optimal vertical polarisation. The low profile and rugged CT400 UHF low profile antenna is the ideal choice in situations where a traditional whip would be vulnerable to damage or vandalism. Mounting the CT400 will require 4 x 6mm mount holes. The CT400 comes supplied with 4 x M6 x 20mm set screws for mounting. A vehicle on-glass antenna is a popular alternative to other bracket mounted antenna. The OZU-1 on-glass UHF antenna is simple to install, just peel, place and connect. There is no connector fitted to the connection end of the cable assembly, order the required connector along with your antenna to suit your needs. These selection of highly flexible whips are designed to fit any radio which have a SMA female connection, comes with 5mtrs coaxial cable. The M99RT-148 VHF flexible helical whip is specifically designed to fit to any base with a 5/16"-26 TPI male thread like the OB4-7 or MGB-OB. The small and flexible design allows the M99RT-148 to withstand the harshest of conditions whilst still maintaining the optimal vertical polarisation. The M99RT-148-HD is a reinforced core helically wound whip with a 5/16"-26TPI female threaded mount ferrule, specifically for the VHF 148-174MHz frequency range.The reinforced core ensures a true vertical polarisation in all conditions. The M99RT-171 VHF flexible helical whip is specifically designed to fit to any base with a 5/16"-26 TPI male thread like the OB4-7 or MGB-OB. The small and flexible design allows the M99RT-171 to withstand the harshest of conditions whilst still maintaining the optimal vertical polarisation. The M99RT-70 VHF flexible helical whip is specifically designed to fit to any base with a 5/16"-26 TPI male thread like the OB4-7 or MGB-OB. The small and flexible design allows the M99RT-70 to withstand the harshest of conditions whilst still maintaining the optimal vertical polarisation. The ZSMA-165 highly flexible whip is designed to fit onto any portable VHF device with a SMA female connection. The small and flexible design allows the ZSMA-165 to withstand the harshest of conditions whilst still maintaining the optimal vertical polarisation. The ZSMA-240 highly flexible whip is designed to fit onto any portable VHF device with a SMA female connection. The small and flexible design allows the ZSMA-240 to withstand the harshest of conditions whilst still maintaining the optimal vertical polarisation. Robust, highly flexiable helical whip. The low profile and rugged CT160 VHF antenna is the ideal choice in situations where a traditional whip would be vulnerable to damage or vandalism. Mounting the CT160 will require 6 x 6mm mount holes. The CT160 comes supplied with 6 x M6 x 20mm set screws for mounting. The Z2400-8 is an omnidirectional ISM2.4 wireless data mast mount collinear, designed for wireless data link applications in the 2.4-2.5GHz range.